We are two days into our in-service training week and this morning I co-led a session on restorative practices for the teachers of Years 3-6 as well as classroom assistants. For someone who has mostly been involved in educational technology and mostly as a ‘guide on the side’ to lead such a large group of people was something well outside of my comfort zone. 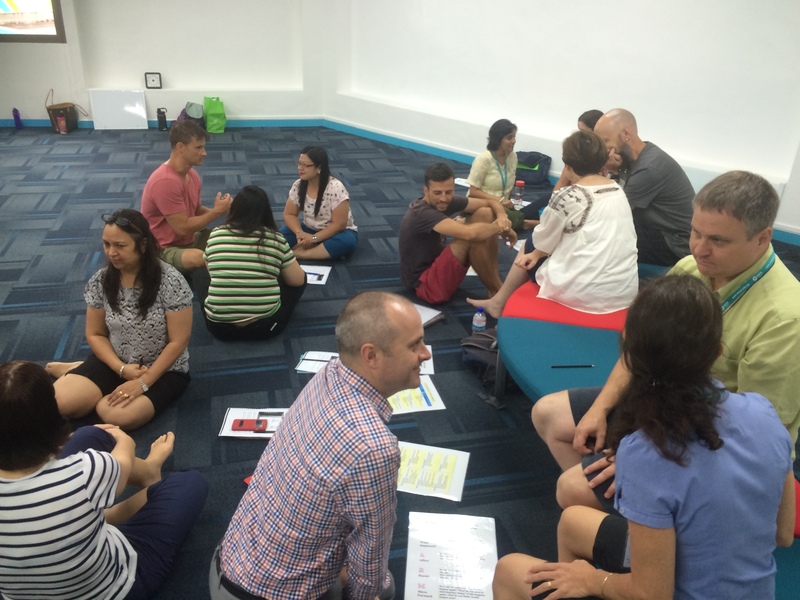 This group was particularly challenging as alongside teachers that were experienced in restorative practices, were a group of teachers new to our school as well as the classroom assistants. Nevertheless, we had some useful conversations around the ‘what’ of restorative practices as well as looking at planning to implement them better next year. We also looked at the WARM graphic I had introduced to my students last year to share further throughout the school.